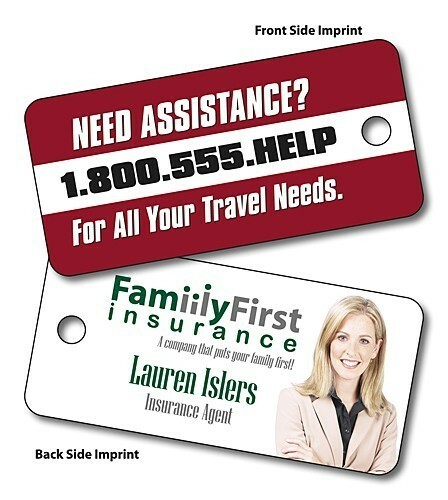 Plastic Keytags are a handy way to keep your information in front of your customers. Keytags promote your business, can identify your customer with a unique ID, and serve as a marketing tool to bring more sales to your business. Thickness is 30pt. extra thick laminated plastic. 2.375 in. x 1.125 in. Price includes printing in full-color (four color process) on one or both sides. Metallic or fluorescent colors cannot be printed in full-color (four color process).